Should the Trump presidency make us more optimistic about America’s future? E.J. Dionne—a prominent liberal pundit who is both a nationally syndicated columnist for The Washington Post and a senior fellow at the Brookings Institution—thinks so. 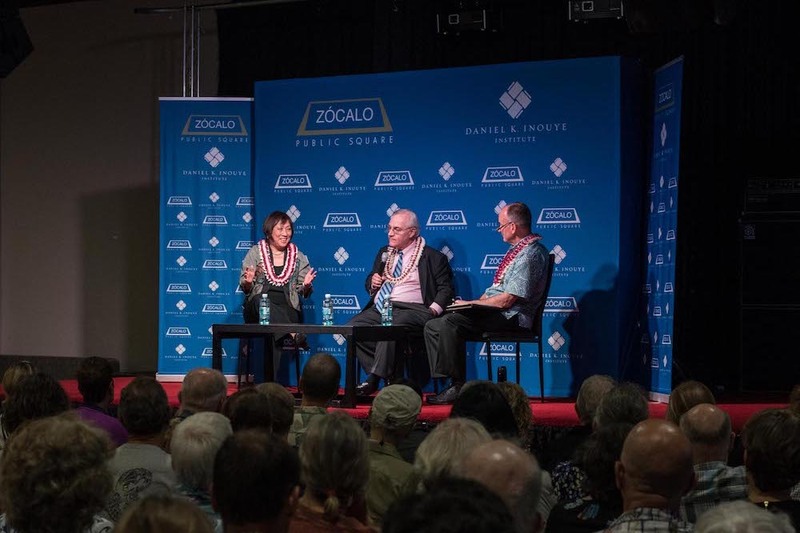 Moderated by Bill Dorman, news director of Hawaiʻi Public Radio, the event offered Dionne’s Washington insider perspective on year one of the Trump presidency and the massive resistance to it, which Dionne believes may signal better times ahead for American democracy. Dionne—co-author of the new book, One Nation After Trump: A Guide for the Perplexed, the Disillusioned, the Desperate, and the Not-Yet Deported (2017)—laid out the evidence Trump is inadvertently energizing a renewed civic spirit and a desire, especially among younger people, to get active in government. Dionne pointed out that 60 percent of Americans now say there’s something wrong with the country, and Trump’s support is eroding even among his base of non-college-educated whites. In some ways, Dionne suggested, Trump’s policies have awakened Americans to their responsibilities as citizens, a duty that many had been neglecting. 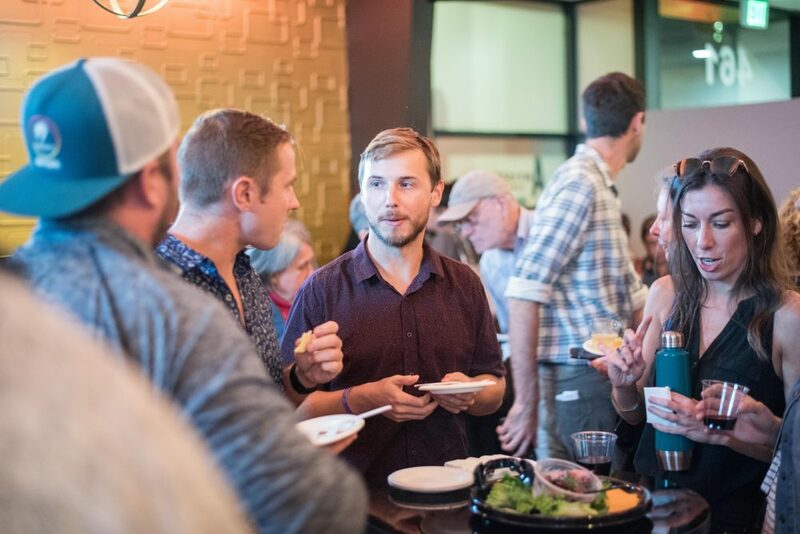 “It’s our job to be civically engaged, it’s our job to be politically engaged,” said Dionne, who paraphrased his own activist son to the effect that “sitting around drinking wine and complaining about Trump” (or any other politician) won’t make the country better. If Dionne isn’t ready to write democracy’s obit, he concedes that his new volume is “a worried book.” He’s concerned about the future of self-government not only in the United States but globally. But he doesn’t believe that democracy is under siege to the degree it was in the 1930s. Then, when Trump started trying to implement policies “that people thought were dangerous,” such as the ill-fated travel ban against people from predominantly Muslim nations, he was met with a flurry of legal challenges. “Lawyers were heroes!” Dionne said. But has that oppositional energy been sustained, Dorman asked. Dionne thinks that it has, pointing to election outcomes last year in places like Virginia and Alabama. 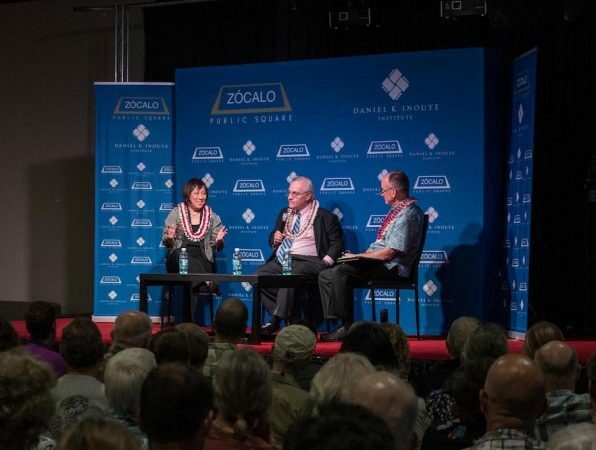 Later in the evening, Dionne and Dorman were joined onstage by Colleen Wakako Hanabusa, the Democratic U.S. representative for Hawaii’s 1st congressional district since 2016, and now a candidate for governor of the Aloha State. 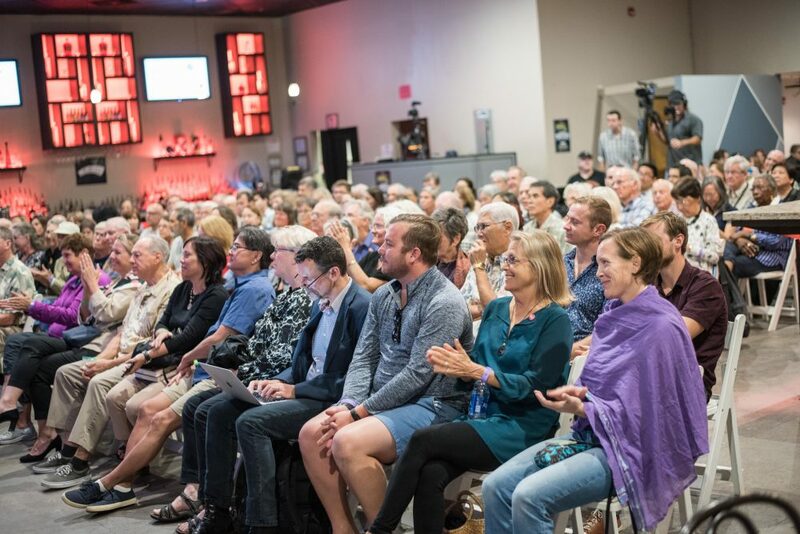 And she underscored the increasing factionalism with the major parties themselves, as shown by the rise of the Tea Party on the right, and an invigorated progressive wing on the left. 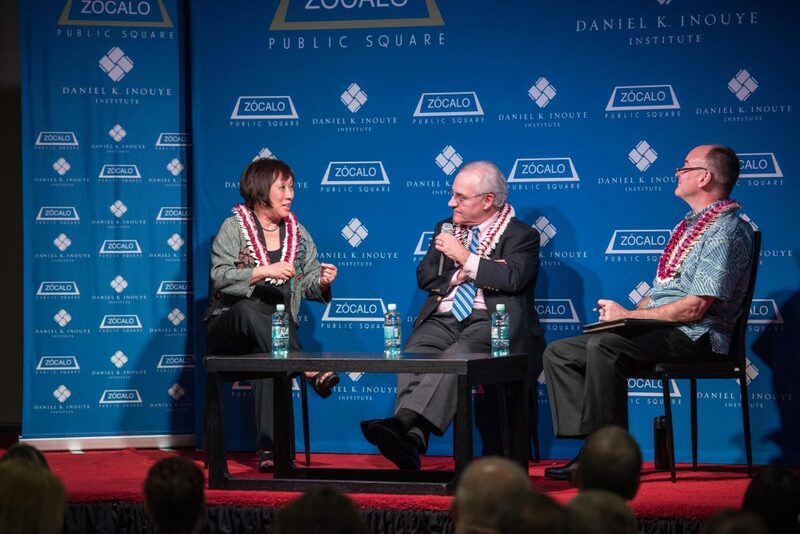 “I have colleagues in Congress who consider themselves very progressive who are more afraid of the progressives than anything else,” said Hanabusa, who marveled at Trump’s ability to carry blue-collar strongholds like Michigan. 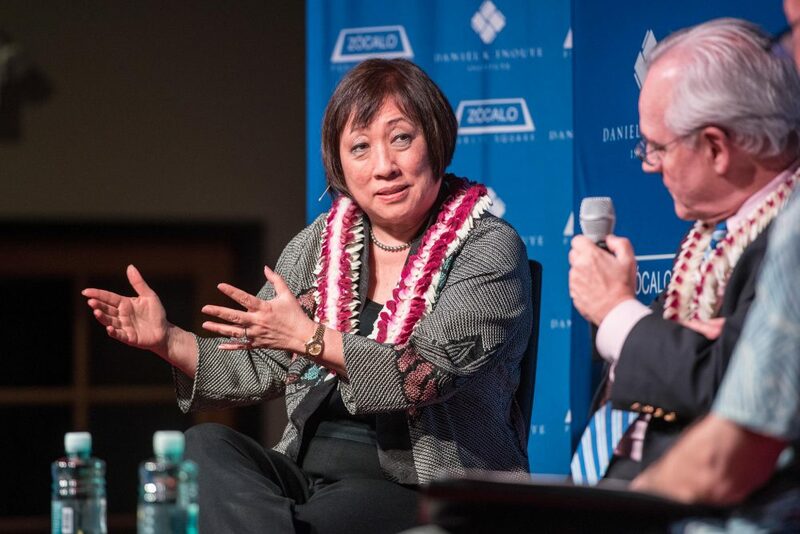 Hanabusa said her hope is that bi-partisanship somehow will return to fashion in Washington, and that a creeping cynicism about all politicians won’t further paralyze our political culture. Dionne concurred. After all, he said, in the post-World War II period, politics had been regarded as a positive thing. It was only after the disillusionment of the Vietnam War, the disgrace of Watergate, and a string of disappointments and setbacks up to the Great Recession and beyond that record numbers of Americans started seeing all politics (and politicians) as poisonous. 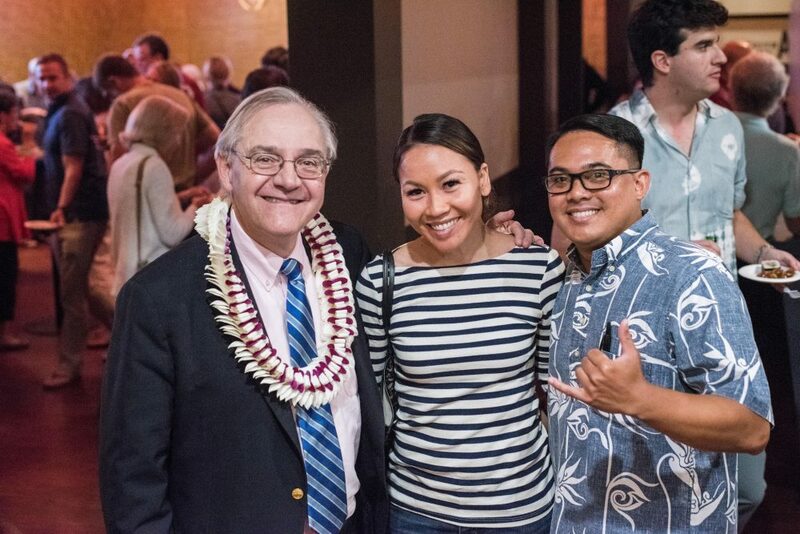 Dionne and Hanabusa agreed that our politics might improve if our federal representatives actually spent more time living in Washington, socializing informally with the folks seated across the aisle. Despite his optimism, Dionne fears that the longer-term damages from Trump’s presidency are piling up, and that already “we have lost some things in this period that are going to be hard to get back.” While the United States withdraws from the world stage and backs away from its advocacy of human rights, China is pushing itself as a rival Great Power. 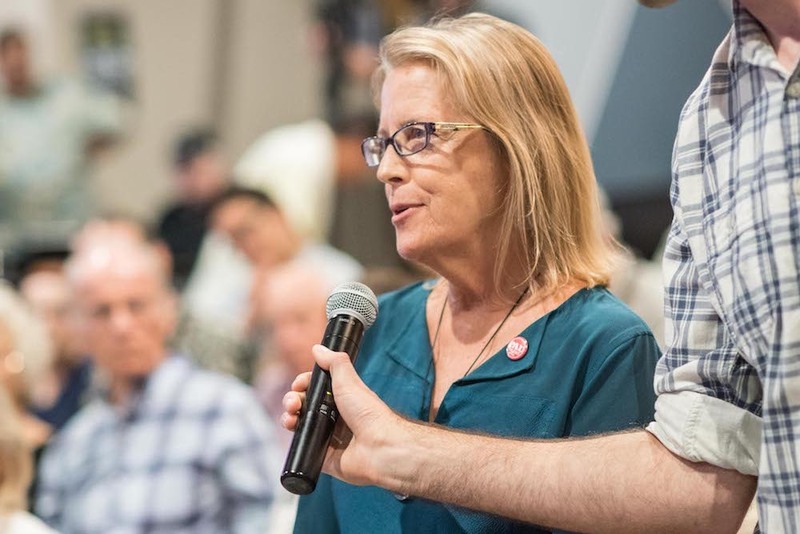 As Trump and his appointees chip away at the machinery of government, corruption is seeping into our system, Dionne indicated. But Dionne managed to find another silver lining. Trump’s election “did point toward problems that we actually need to deal with in the country,” including the economic decline of the type of old manufacturing town like Fall River, Massachusetts, where Dionne grew up. “You have places around the country that have been hammered for decades,” Dionne said—and voters in many of those places thought that Trump, not Hillary Clinton, was more likely to improve their lives. As a journalist, Dionne said he is troubled by the country’s growing inability to agree on basic facts. Today, “we’re in a very much more difficult environment now for truth, partly because the president doesn’t seem to know what it is,” he said. It was an evening punctuated by literary references (George Orwell’s essay “Politics and the English Language”) and breezy pop-culture allusions (Joni Mitchell’s “Big Yellow Taxi”), with an impassioned soliloquy by Hanabusa that a new generation of elected women won’t suffer the same prejudices that their mothers did. And it was Dionne who summed up—optimistically, of course. Rep. Colleen Hanabusa speaks in Honolulu. Washington Post columnist E.J. Dionne with guests at the reception.